William Y. Yun, Executive Vice President and Head of Alternative Strategies, Franklin Resources, Inc.
William Y. Yun has been Executive Vice President of Alternative Strategies at Franklin Resources, Inc. since 2008, and is responsible for Franklin Templeton's specialized and alternative investment groups. Mr. Yun is an officer of Franklin Resources, Inc. and a member of Franklin Templeton's Investment, Planning and Global Product Development Committees. He also serves on the Board of Directors of Fiduciary Trust Company International and is a member of Fiduciary Trust's Management Committee. He joined Fiduciary Trust in 1992 and was a portfolio manager for eight years, becoming executive vice president overseeing Fiduciary Trust's global equity division. He served as president of Fiduciary Trust from 2000 to 2005. In 2002, he also became president of Franklin Templeton Institutional, the global business development group responsible for Franklin Templeton's institutional business. Prior to joining Fiduciary Trust, Mr. Yun worked at Blyth Eastman Paine Webber, First Boston and CB Commercial Holdings. Mr. Yun is a Chartered Financial Analyst (CFA) Charterholder and a member of the New York Society of Security Analysts. He earned an M.B.A. from The Amos Tuck School of Business Administration at Dartmouth College, and a B.A. from Harvard University. 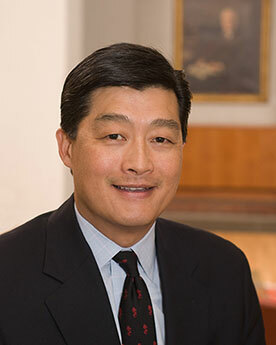 Mr. Yun is also a trustee of the South Street Seaport Museum and The Commonwealth Fund in New York.